Home News & Analysis Global Macro Forex-Based Hedge Funds: Are They Now In Vogue? Forex-Based Hedge Funds: Are They Now In Vogue? There are said to be more than 10,000 hedge funds now in operation around the world, many of which are beginning to look towards forex as a means of chasing volatility and higher gains. 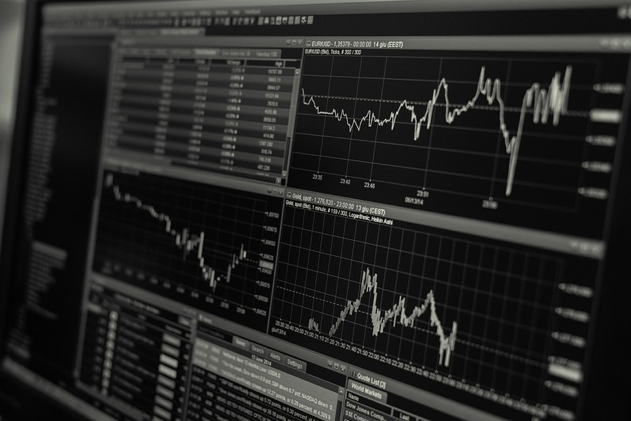 Historically, forex markets have been less appealing to hedge funds and proprietary trading groups, as the number of instruments is small and not well-suited to investors wanting diversified portfolios. However, fast forward to the present day and pooled funds and hedge funds are now the second-biggest players in the forex markets. Today, FX trading online gets you immediate access to as many as 40 different currency pairs, allowing forex-based hedge funds to better diversify and spread their risk across various currencies. Perhaps the biggest forex hedge fund in recent memory was FX Concepts which, at its peak, was managing a currency portfolio of over $14bn. It’s worth noting that despite its impressive standing, even they weren’t immune to the increasingly difficult market conditions and growing interventions from central banking authorities in the aftermath of the global financial crisis. FX Concepts were eventually forced to close their doors in 2013. The Bank for International Settlements revealed a seismic slump in the total assets run by quantitative forex hedge funds. In 2008, prior to the worldwide recession, total assets amounted to $35bn, falling to just $6bn in 2013. Much of this decline was due to increased interference from central bank authorities, while a compression of interest rates in the western world virtually put a stop to the straight-forward ‘carry trade’ that was the bread-and-butter move of many forex hedge funds. Investors would borrow a low-yielding currency and sell it to purchase a higher-yielding currency. Nevertheless, with the global economic climate experiencing steady recovery, there is increasing positivity in the forex markets once again; but it’s not occurring where you might expect. In the last 12 months, much of the talk in the currency hedge fund world has been about growing plans to bring more of the world’s currency transactions to Asia. Singapore, which now processes the third-highest amount of currency transactions in the world, is throwing its weight behind a currency trading platform offering lower fees than elsewhere in the city-state. Spark Systems is part-owned by Dymon Asia Capital, whose currency hedge fund yielded a 56% return in 2016, as well as Singapore’s central bank. Their system is designed to match orders in forex markets within two milliseconds, compared with the 200 milliseconds it takes on average to route market orders to London or New York. As the shift towards electronic forex trading continues, speed is most definitely of the essence and this could certainly improve liquidity in the region. Significant stock market gains and remarkably low volatility are forcing hedge funds to look beyond bond markets and equities for sizeable returns. If you’re looking for a relatively high-risk investment in 2018, there’s no doubt that increasing numbers of hedge funds will be looking to leverage currency pairs to your advantage. In 2016 through to November, currency-focused hedge funds returned 1.2% on average, the strongest returns since 2010. Hathersage G10 Macro Access Strategy was proof that year that significant gains could be made, returning 41% during the same period. The Chicago Mercantile Exchange confirmed that trades on the dollar and Euro late last year were at their strongest in almost five and ten years respectively, reinforcing the increasing attention paid to forex markets. With the influence of quantitative easing now diminishing, other macro drivers will influence the markets, bringing with it the divergence and volatility that hedge funds crave.